Q: Where can I buy Dynamite products? Q: How can I find out more about my favourite Dynamite products? Our dedicated product pages provide information and videos on every product. 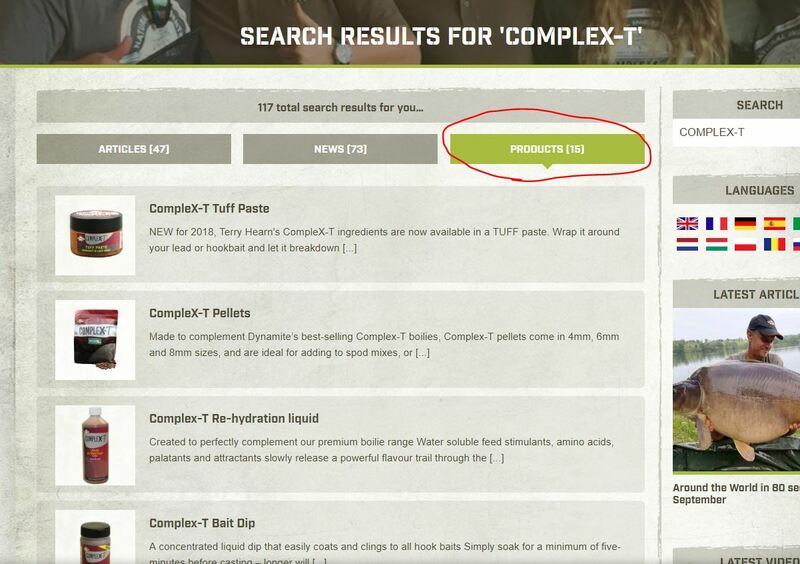 Click ‘Products’ above and selected ‘Carp’, ‘Match & Coarse or ‘Other’ and browse our ranges. Q: How can I submit my carp or specimen fish catch photographs and reports? Q: How can I purchase Dynamite Baits merchandise and branded clothing? Q: Where can I find the latest Dynamite news? We regularly update our News and Article pages on this site. Our Facebook pages are also a good way of keeping up to date with new products and catch news. Q: How do I subscribe and download the FREE Dynamite E-Zine? Fill in the form at the bottom of this page and then check your email inbox. Click the link in the confirmation email to view the latest issue. To view back issues simply visit our ISSUU page HERE. Q: How do I use the website search function? Click the magnifying glass icon at the bottom of the page and type in your query. Select ‘Articles’, ‘News’ or ‘Products’ from the tabs at the top of the results to filter query type.